Here at online casino1 we want to give our readers 100% knowledge of the gaming world and all the enjoyment that comes with it. However there is a darker side to this enjoyable pastime, some people really do not know when enough is enough and end up paying a hefty price. This is side of gambling that isn’t posted all over the homepages of the bright fun filled online casinos we so often promote. As with all addictions, a gambling addiction can be hard to detect and even harder for the addict to admit their problems. Anything in excess is not good for anyone, so in this article I’d like to share a few of the warning signs with you, to help yourself or people close to you to admit and overcome this addiction to gambling online or off. There are warning signs to watch out for when dealing with gambling addiction, although they may not be as in your face as people dealing with drink or drug addictions. A gambling addiction is one of the hardest to detect as the gambler will go on living his or her life with no side effects for loved ones or colleagues to pick up on. There are a few simple questions you can ask yourself or the person you are worried about to figure out if their seemingly innocent habit has spiraled out of control and is fast becoming an addiction. Do you find yourself lying about the amount of time and money spent playing at online casinos? Do you find it hard to walk away from the online casino games when you are on a losing streak? Do you still gamble even when you know you cannot afford your day to day costs if you do? Are you borrowing money to fund your gambling habit? Is your gambling interfering with you work life, family and friends? Have you stopped socialising to stay at home and gamble online? If you answered yes to the questions above, or you know someone who ticks these boxes then it is highly likely that this person needs help. But for people, who are not familiar with the gambling world or the real problem of gambling addiction, knowing where to go and who to ask for help might be a problem. These days however gambling addiction is highly recognized and there are many support groups set up to help. I think I have a gambling problem, what to do? In the case that you play online casino games it is very important that you first close all online casino accounts. Don’t be fooled into thinking that 1 week or 2 weeks is enough, a gambling addiction stays with you for the rest of your life so be sure you close every account for an unlimited time frame. 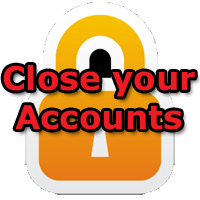 Every online casino with a legal casino license should work with you to tackle this, an E-mail with the request to close your account for ever should be enough. In case you do not play in online casinos but in a land based casino you should ask the employees to give you a life time casino restriction. Don’t think 1 year will be enough, a restriction for life is the only good solution possible to come over a gambling addiction. This means you will not be admitted into this casino again. Some countries have taken it a level further with a native database for players with gambling addiction problems. As soon as players register theirselves to this database they will not be allowed to make an account at any licensed casino in the jurisdiction in question. Good examples of this are Gamstop in the United Kingdom and NemID in Denmark. If you live in one of those countries; don’t hesitate and sign yourself up immediately. Here you have 200 dollars/euros, now you can solve your money problems by winning it back…. Logical sense should tell you that this is not the solution, you know that the gambling is only making this problem worse. Make sure that the person you tell is somebody you trust, you would be surprised how most people are willing to help when a close friend or family is experiencing such problems! The last thing you should do in case of a gambling addiction is sorting it out yourself. Your family and/or friends are aware of the problem at this moment but they can’t do everything for you, professional help is necessary. There are many ways to find professional talk groups (like the AA for alcohol addiction) or you can pick a one on one solution. Most solutions are not cheap.. Inform your insurance company to find out what is covered, most of the expenses to solve a gambling addiction will be covered by insurance companies in Europe and the USA. The professional help will give you a good direction to follow, don’t think everything is solved by one visit, you are not there yet but you are closer than you were before you sought help. You can’t really say it is a good thing but the big advantage of a gambling addiction compared to other addictions is that it doesn’t harm your body directly. Don’t get me wrong, you can have a lot of problems money-wise and it is up to you to sort this out in a proper way, it won’t be easy to survive the coming years. Mostly the professional help offers you to sort out your money problems, if you are reading this before your visit you should write down everything you owe to each person or company. I know somebody with a gambling problem, what to do? You can follow the steps above with a couple of changes. You are the one who is going to talk with your family member or your friend. The first and most important step he/she has got to make is admitting that he or she has in fact got a gambling problem, that isn’t easy at all! Collect as many facts as you can and bring it to them in the nicest way possible. Don’t be surprised if the person won’t admit that there is a gambling addiction, give him or her all the facts and try to convince him, but if it doesn’t work don’t break all contacts, there might be a time that the person in question is going to need you more then ever.